Caran d’Ache Grafwood Pencil Review – Pens! Paper! Pencils! 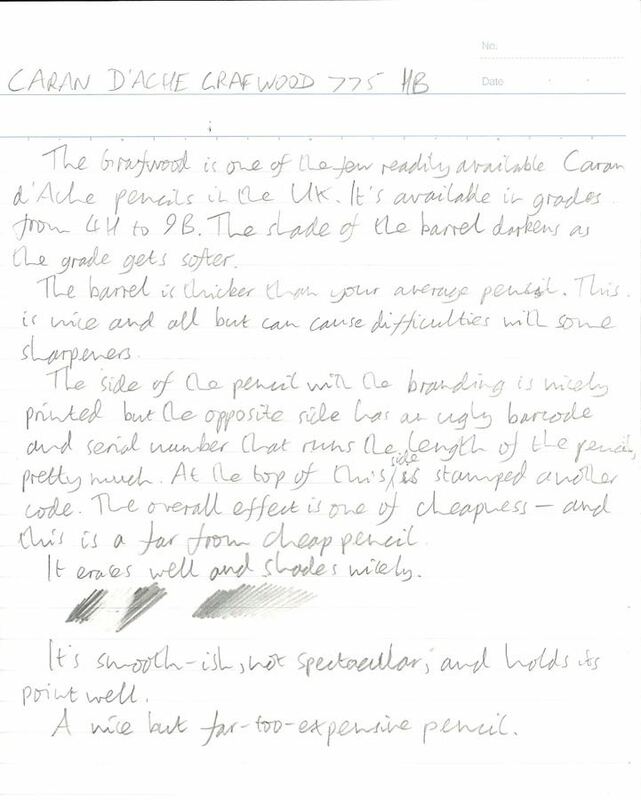 Last week I reviewed the Caran d’Ache Edelweiss, a reasonable writing pencil that is inexplicably extremely hard to get in the UK. 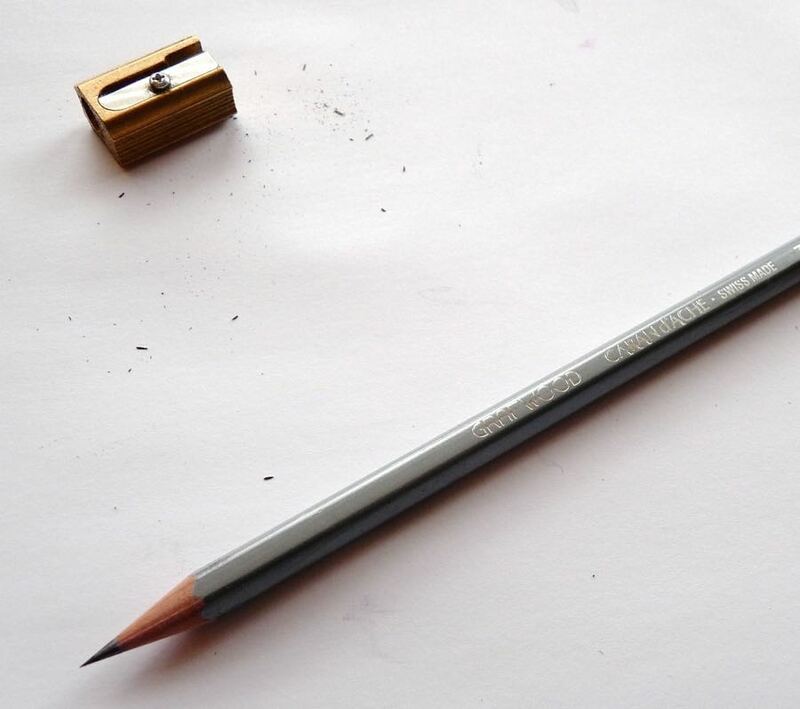 The Grafwood, in contrast, is a drawing pencil that can be found almost everywhere. The Grafwood is plumper than the average pencil and I’m not sure why. 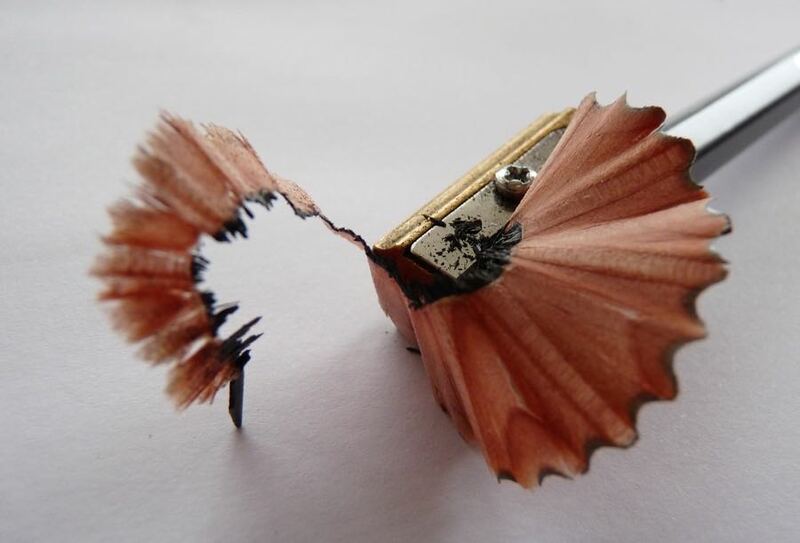 It’s no more comfortable to hold than a normal sized pencil and it means some sharpeners have a hard time with it. The silver printing on one side is crisp but on the opposite side is a very ugly barcode and serial number, running most of the length of the pencil. 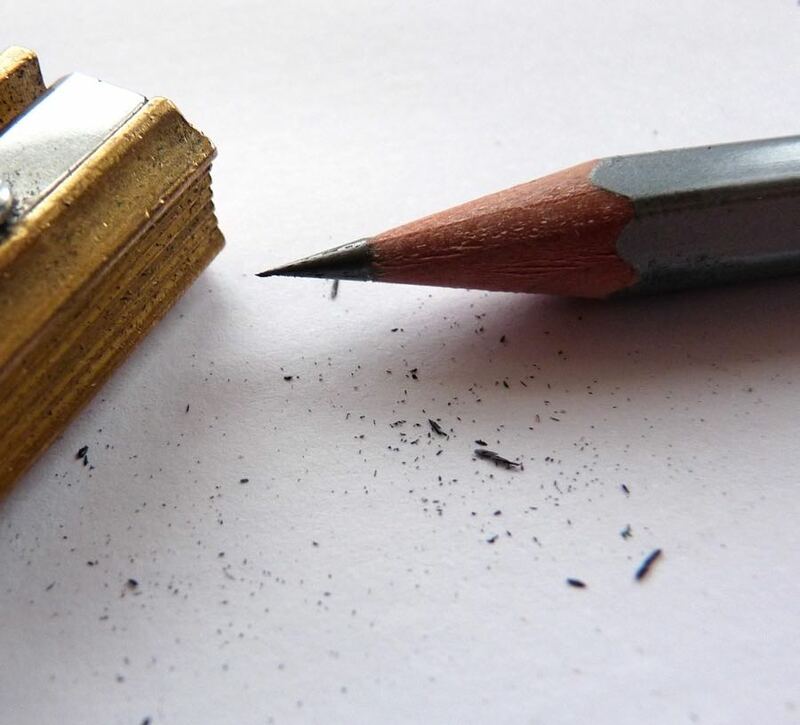 The lead grade is printed on just one side but each grade of pencil has a different shade. Pencils with softer leads have darker barrels. 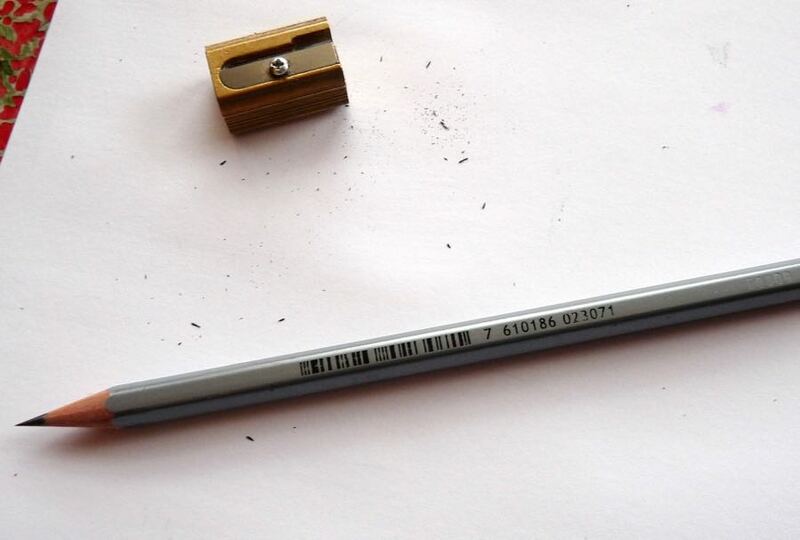 This is quite neat but the overall design on the pencil isn’t really to my taste. I think it’s a little cheap looking. The lead in this HB pencil isn’t buttery smooth but it isn’t bad. It holds its point well and erases cleanly without smudging. 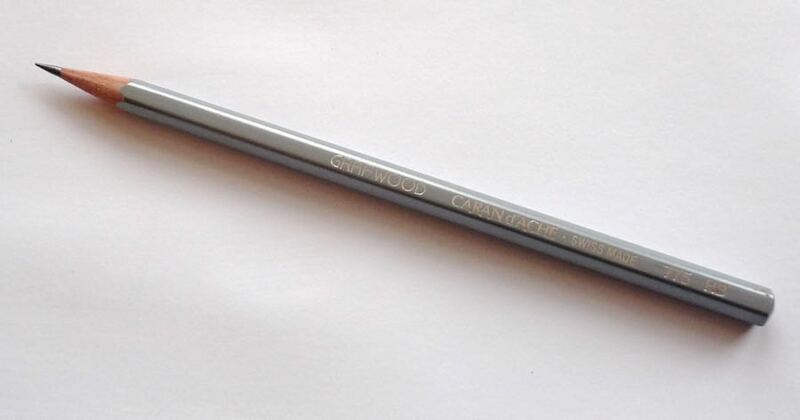 The Caran d’Ache Grafwood is a nice pencil but it costs £2.50. There’s no way this price can be justified, there are dozens of pencils that are just as good at a fraction of the cost. i think this pencils outperform others in the harder H ranges by far. produces a very smooth and very light tone. I prefer the ‘plumper’ barrel. I find this one of the nicest graphite pencils I’ve tried. The reason it’s fatter is because the graphite is fatter. Use a razor blade and open it up and compare it to, say, a Fabre castell 9000.